What Is A Car Fob? In the winter, getting your car started often means crawling out of bed in the morning, fumbling in the dark while trying to fit a key into a frozen lock, and wrenching the door open. The invention of car fobs has changed all that. Instead of fumbling with a physical key, car owners can unlock their doors from a short distance. A car fob can also unlock the trunk! This is great if you’re carrying a handful of groceries. And some fobs come with other options, like the ability to roll down the windows. A key fob is essentially a miniature remote control that allows you to lock and unlock your vehicle without even touching the door. In today’s world, key fobs provide unprecedented convenience and ease of access. But a key fob can be stolen or misplaced just as easily as a regular key. And when it’s gone, so is that convenience. Where do you get a new one? You could hunt down the dealership, but that’s not always an option for used cars. What many people don’t know is that there is a local automotive locksmith that does provide car fob replacement services 24 hours a day. That’s us! We are Georgetown Locksmith Pros, your most reliable lock and key company in the area. We’re proud to offer some of the best 24-hour lock security solutions in Georgetown Texas. Our highly trained staff is experienced, professional, and dependable, with a commitment to providing you with the best service for your money. In addition to these benefits, we are a mobile business, meaning that you don’t have to drive to our office, we’ll meet you wherever you are. 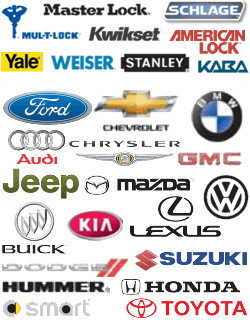 We replace car fobs for all makes and models, both foreign and domestic. No need to hunt down the original dealership. We can get you back on the road in a fraction of the time, and at a reasonable price. Let’s face it, parking downtown can be a hassle, but don’t risk getting a ticket because you can’t find your car fob! If you need car fob replacement services, just contact us. 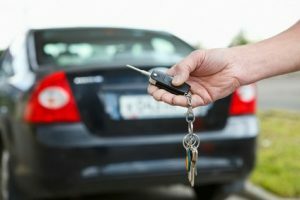 In addition to key fob replacement, we provide a wide range of emergency locksmith services, including lock changes, burglary damage repair, home security installation, and more. Whatever you need, don’t hesitate to give us a call. We’re committed to total customer satisfaction and once you’ve worked with us, we’re confident that you’ll never want to try any other company. Car Fob https://georgetown-locksmith.co/automotive/car-fob/ 4.1/5 based upon 8 reviews.